Family partnerships are proving to be an excellent progressive mechanism for succession planning and management of the family farm. This arrangement as part of a succession plan has now received additional support in the budget. Partnerships allow both younger and older generations to be actively involved. Partnerships have positive EU payment benefits including Young Trained Farmer Top Ups and TAMS. Partnerships offer tax saving opportunities through stock relief and personnel allowances. Additional income tax reliefs are now available to the members of a partnership, where the partnership forms part of a farm succession plan. The partnership helps to define roles, develop a farm plan, and determine income split. Partnerships can facilitate and safeguard succession management. Outside the family Registered Partnerships, Financial Partnerships and Share Farming Arrangements all offer options for collaboration between two farmers. The Land Mobility Service helps facilitate all such arrangements. Partnerships can also work well outside the family, the Irish models are based on the French GAEC. The best known Irish model, The Milk Production Partnership, complies with milk quota regulations however this model provides a template for any farm partnership. Registered partnerships can be tax efficient with individual reliefs allowable and capable of being carried in (e.g. stock relief, income averaging and unused capital allowances). Revenue and the Dept. 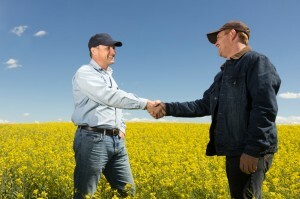 of Agriculture have a favourable approach towards registered farm partnerships. The key being that each farmer in the arrangement should be treated no less favourably than a farmer farming on his/her own. All qualifying farmers in a registered partnership are each treated as individuals for tax and SFP. Stated government policy is that all parties are treated separately for EU and government support. Partnerships are capable of dealing with a wide range of scenarios and multiple partners, including companies. To safeguard land title, land is licensed by the land owner for use by the partnership and a clear cessation mechanism can be provided for in the agreement. Partnership offers an ideal mechanism for dairy expansion post quota, for example a dairy farmer and non dairy farmer neighbour. In simple terms the dairy farmer can provide the milking facilities and dairy expertise with the neighbour providing the extra land and labour for expansion. The planning process is very important. The business must be separated from the partner’s private lives. It is advisable to have a clear comprehensive agreement. A specimen partnership agreement has been developed by Teagasc in conjunction with the Law Society. Revenue have taxation booklets for Milk Production Partnerships.